A company’s customer service response time is one of the biggest factors that impacts both customer satisfaction and the company’s net promoter score (NPS). Service response time refers to the time between the moment a customer makes an inquiry or raises an issue and when they receive a response. In other words, while the quality of your service or product is a starting point for building brand affinity with your customers, excellent customer service is a critical part of maintaining your brand reputation with customers. Fortunately for businesses with limited customer service budgets, there are ways to reduce wait times without increasing stress and hiring more representatives. It’s key that employees are trained on how to interact with customers and attend to their needs, particularly if your business has a brick and mortar store. For example, reps may focus more on providing amazing service to their current customer while giving little attention to the customers in line. They are doing their jobs well, but multi-tasking can be crucial. This is where proper training is essential. Even if your staff works with customers primarily over the phone, if your staff isn’t trained well, it doesn’t matter how many extra employees you hire. Your customers won’t be satisfied. Write a training manual, enact standard operating procedures, and make sure everyone goes through formal customer service training. Reps should know how to greet customers, ask the right questions to find out what the customer needs, and provide effective solutions to problems. Furthermore, make sure everyone knows how to use your customer relationship management (CRM) platform correctly to ensure consistent quality service. Spending time on training could greatly reduce your customer response time and lead to more satisfied customers. 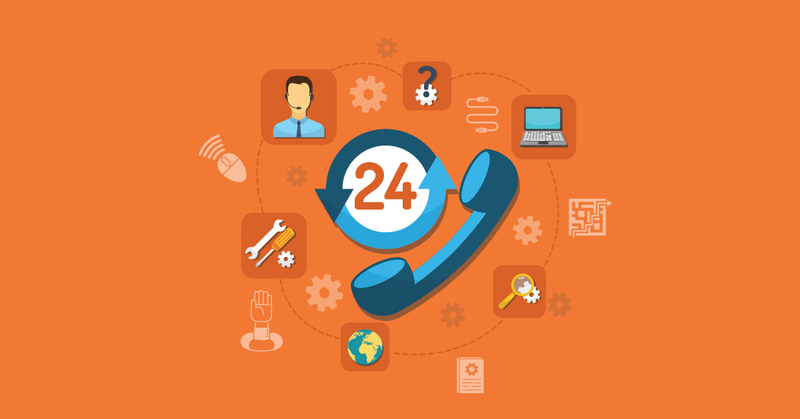 A live answering service is a great way to increase your customer service response time. According to VoiceNation, a live answering service gives companies the confidence that they won’t miss any customer calls, which also improves customer satisfaction because customers know their needs will be addressed immediately. This ultimately leads to better customer retention rates, which is a high priority for most companies. Just because email communication is less personal than other customer service options doesn’t mean you can put these requests on the back burner. Successful companies respond to email inquiries just as quickly as they do to phone calls. However, because customers send emails all the time, including in the middle of the night (or whenever they need to reach out to your customer service department), it may not be feasible for your company to respond immediately. This is where technology and automation come into play. Consider setting up an automatic email response to answer messages received after business hours. While that solution won’t directly answer questions, customers will appreciate that their request has been acknowledged. Then, be sure to make overnight emails your priority once you get back in the office. Another way technology can be helpful is if you use “quick replies” or “quick responses.” These are pre-written emails that cover a variety of common topics, and they can be sent immediately without much thought or effort. Determine what your common customer questions and requests are and compose thorough email responses to them. Then, when an email comes in at an inconvenient time, see if one of your pre-written messages will suffice. This will help satisfy the customer without a lot of extra effort. While this strategy does require time and energy up front, once it’s done it needs little maintenance. Self-help features include FAQ pages, a knowledge base, video tutorials, and community forums. All of these are ways to address customer questions and concerns without having a person present to provide answers. According to Shep Hyken, most customers don’t actually need to speak to a person — they just want the question answered. Consider putting together extensive resources that address common questions and problems. Then direct customers to these pages on your website, preferably with a direct link on your site’s “Contact Us” page. A prominent, detailed FAQ page is another great way to provide customer support without having to hire additional manpower. The more time you put into creating one and answering as many questions as possible, the fewer customer calls and emails you’ll receive. Customers will be able to answer their own questions via the FAQ. Community forums work in much the same way, but instead of your agents providing all the answers, consumers learn from their peers. Assign one employee to monitor the forums to make sure participants are constructive and the forums run smoothly. From monitoring communities to training your customer service team, it’s important to remember that your customer response time directly impacts your net promoter score, and those two metrics affect the success of your company. Monitor both to make sure you’re providing the best possible customer service experience. Implementing these strategies can help ensure you improve your response time and increase customer satisfaction. If you’re looking for additional ways to improve your company’s customer service, check out our eBook with five more ways you can make customer service easy for your consumers.